American Press was created as an innovation based on a French Press. 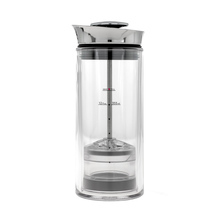 Its creators aimed at the ease of use and maintenance, and a better taste of coffee. That's American Press, the combination of these features!